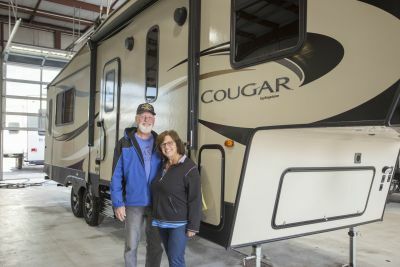 You're closer than you think to owning your own 2019 Keystone Cougar Half Ton 29BHS Travel Trailer from Lakeshore RV Center! 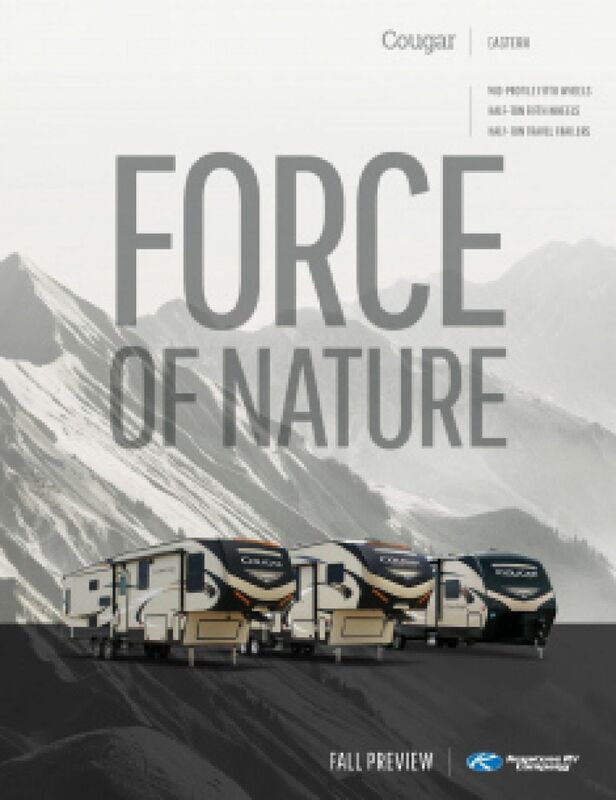 We're the #1 RV dealer in Michigan, in prices, sales, and service - guaranteed! 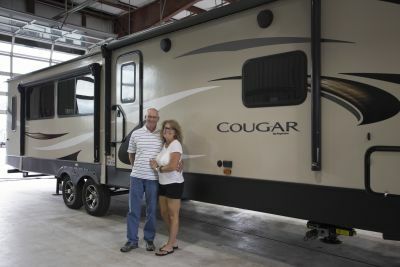 Our dream is to see you own your dream Travel Trailer, and this 2019 Cougar Half Ton Travel Trailer is the perfect recipe for years of family outdoor fun! We're conveniently located at 4500 E Apple Ave Muskegon Michigan 49442, so drive in and see us today! 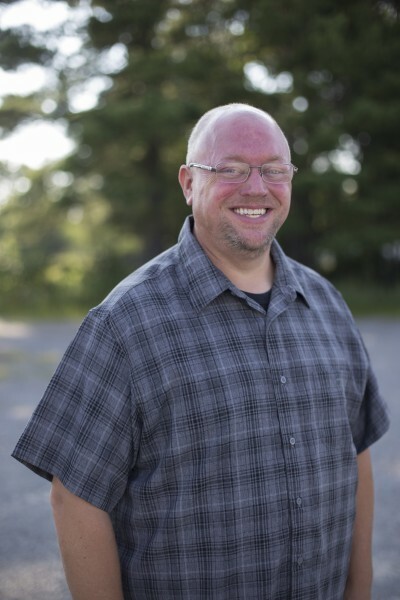 Or if you're out of town - or even out of state - give us a call at 231-788-2040. 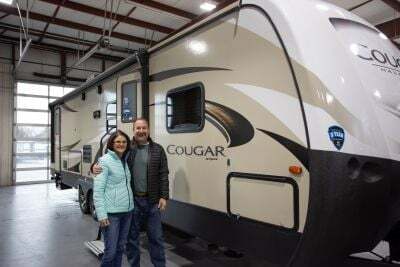 We'll make your dream of owning this 2019 Cougar Half Ton Travel Trailer come true! 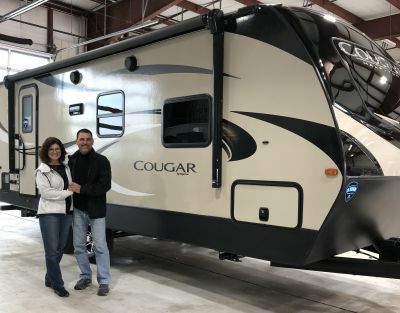 This awesome 2019 Keystone Cougar Half Ton has a GVWR of 8800 lbs, a ship weight of 6915 lbs, and a hitch weight of 810 lbs, making it easy to hit the road anytime the mood strikes! Your family will have tons of fun, literally, in this Travel Trailer no matter where you go! Not only is it a roomy 34' 9" long for inside living, the 20' 0" awning provides shade for outdoor fun, too! 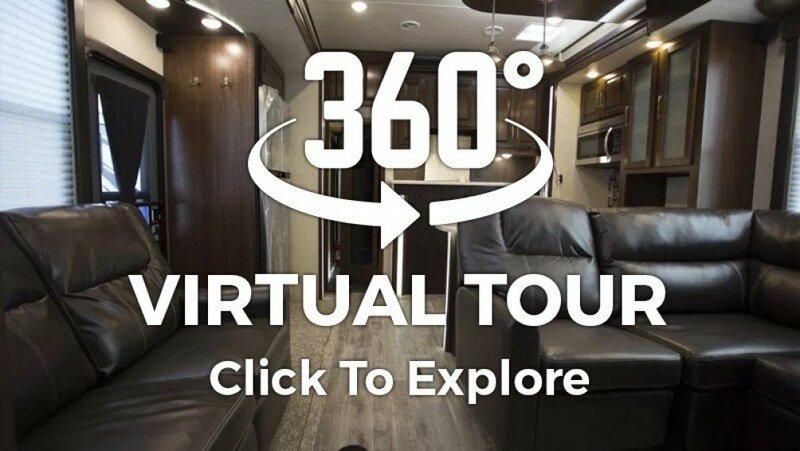 At 34' 9" long, 8' 0" wide, and 11' 4" high, there's plenty of living space in this great RV! And you'll stay comfortable inside no matter how intemperate the weather, thanks to the modern 15000 BTU a/c unit and the efficient 35000 BTU furnace! 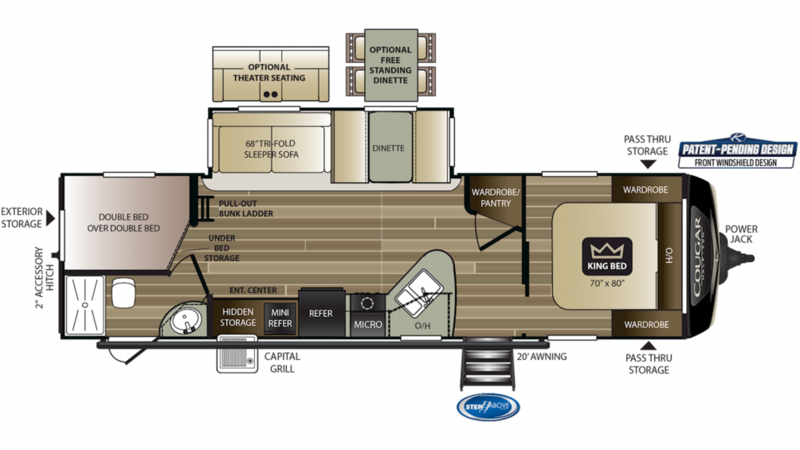 Sleeping in this RV is a treat on the road. It accommodates up to 10 people, all comfy and cozy! The roomy King bed in your private bedroom will surround you with comfort and warmth so you wake refreshed and ready to seize the day! If the weather ruins your campfire, you can still cook up a delicious meal with the 3 burner range cooktop. The 60 gallon fresh water tank provides clean water to the kitchen. The 8.00 cu. ft. refrigerator stores enough food for the whole trip! Hate the hassle of trudging to the communal campsite bathroom? You can forget that with this Travel Trailer. It comes with a big, 30 gallon black water tank and convenient Foot Flush toilet to save you the trip to the nearest bathroom. Plus, you can take all the relaxing, hot showers you like, thanks to the 60 gallon freshwater tank and the 60 lbs. of LP tank capacity! Your kids should sleep as comfortably and peacefully as you will, so give them a good night's rest in the bunkhouse! Nothing says summer like cookouts, picnics, and campfire snacks out in the fresh air! That's why this family camper comes with an outdoor kitchen!